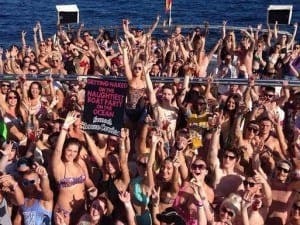 MAGALUF is slipping down the ranks among young Brits looking for a partying holiday. 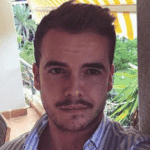 Although still a popular choice, according to head of Party Hard Travel Nathan Cable, it is being undercut by cheaper destinations. Cable revealed sales for Kavos and Ayia Napa are up 400% on last year while Sunny Beach in Bulgaria and Greece’s Zante are up 300%. Malia and Ibiza remained the top choices for clubbing tourists. Cable said: “We’re pretty much flat for Magaluf this year, whereas everywhere else has increased dramatically in holiday sales. 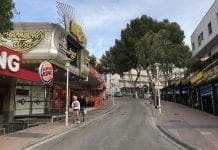 It comes as Calvia Council introduced new sound limiters in Magaluf – in effect from today – that don’t allow music to go above 62 decibels, which British bar owners say will ‘kill’ live music venues. BCM, Magaluf’s most famous and loved nightclub, was also ordered to close following building ‘irregularities’. Meanwhile Bulgaria’s Sunny Beach is exploding in popularity as its prices are hard to beat. “They can get 14 hours of free club time, including entry, all night free bars, a beach party and all you can drink club nights all paid off before they’ve even gone out there,” Cable explained.